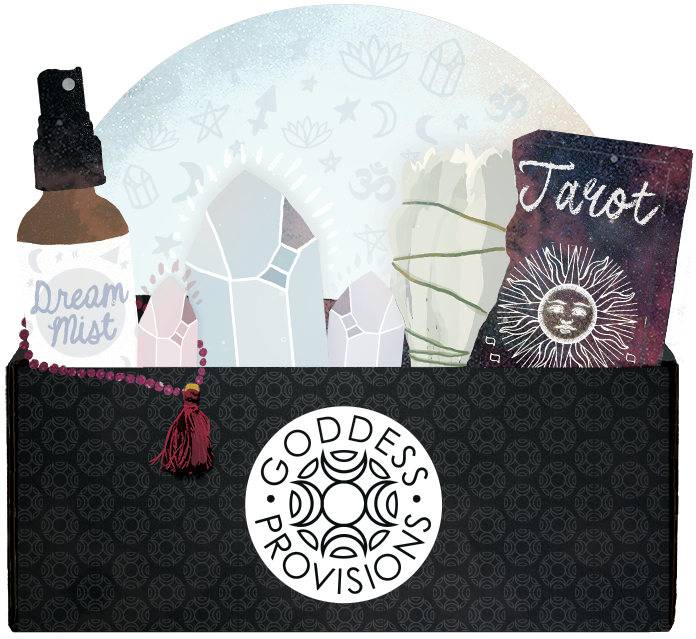 Typically when I review products, they're items that were sent to me expressly for the purpose of featuring on my blog (of course I let companies know that I'll offer an honest review, and if I don't like something about a product, I'll include that in my review). But other times, I just love a product I've purchased so much that I want to tell everyone about it. And that's the case with Complement Plus. 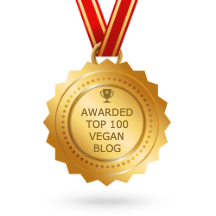 If you've been reading my blog for awhile, you might know that I'm a No Meat Athlete fangirl. 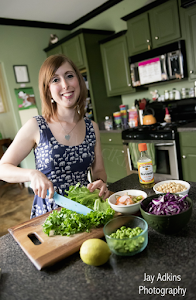 I've listened to all the back episodes of the podcast, cooked plenty of dishes from both NMA cookbooks, and I'm a member of the No Meat Athlete Tribe/Pulse Community (meaning I donate a small amount each month to support the work of the NMA team). 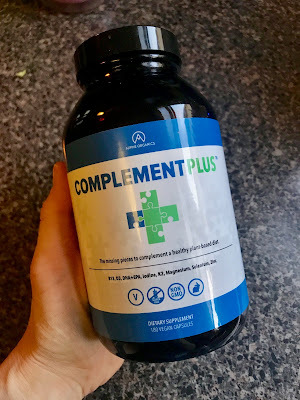 But just this month, they've released another product called Complement Plus – a capsule that contains B12, D3, EPA/DHA, Iodine, K2, Magnesium, Selenium, and Zinc. According to Alpine Organics, which relies on medical advice of Dr. Joel Kahn, B12, D3, and EPA/DHA are the three essential nutrients missing from a plant-based diet. And now I can get everything in three handy pills every morning! Complement Plus is offered by subscription. A two-month supply is $70, which is about what I was spending on vitamins from the store anyway. If you're interested, check it out! Is being vegan without supplements unhealthy? I don't understand. If a vegan diet is the best, why do you have to take supplements? I'm confused? Wow, that covers a lot of bases. Because you're right, I eat a Brazil nut everyday, take iron, plus a multi it would be nice to kind of be more streamline about it! Hi Jackie! The only supplement vegans absolutely need is B12. The other essentials are found in plant-based foods but, unless you eat a super high-quality diet all the time, you may not be getting an optimal amount. But that's the same with a meat-based diet as well. Unless you're eating very clean all the time — on a vegan diet or a omnivore diet — you're probably not getting optimal essentials. 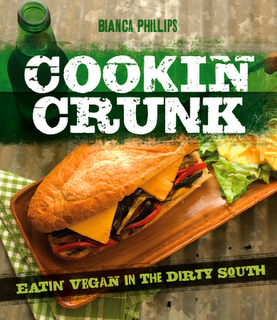 As for B12, it's naturally occurring in soil, which is how it makes its way into meat. When animal eat grass or plants, the B12 is retained. If we didn't wash our produce, vegans could get it through their diets too. But since we do wash our produce, we need to supplement. 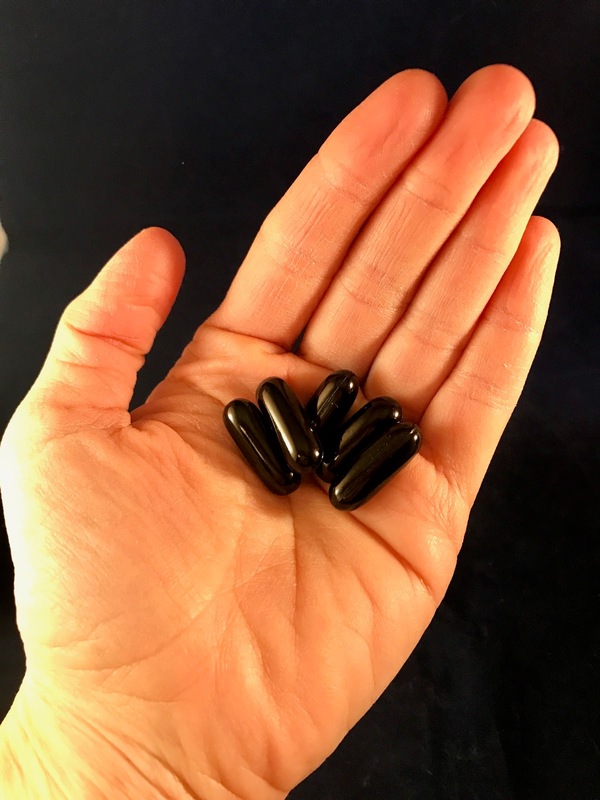 The health benefits of a plant-based diet, regarding the prevention of heart disease, diabetes, and other obesity-related illnesses, far outweigh the inconvenience of having to take a supplement.